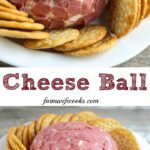 This easy Cheese Ball recipe has dried beef and green onions, makes a great appetizer and is perfect for a holiday celebration. This recipe comes from one of my bonus families. The same family I got the Texas Sheet Cake recipe from. I have known them for now longer than I haven’t so their family recipes have become our family recipes. We have made this together for super bowl parties, showers, holidays and there is never any left! I surprisingly don’t like cream cheese, gasp I know! But I can eat my weight in this cheese ball! 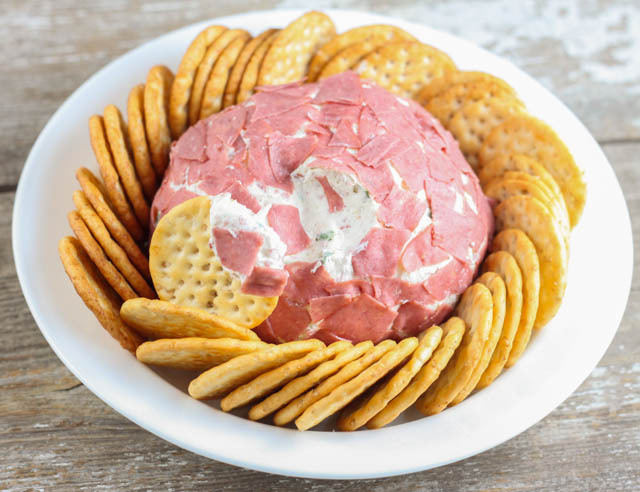 The trickiest part to this recipe is to make sure you divide the chipped beef. 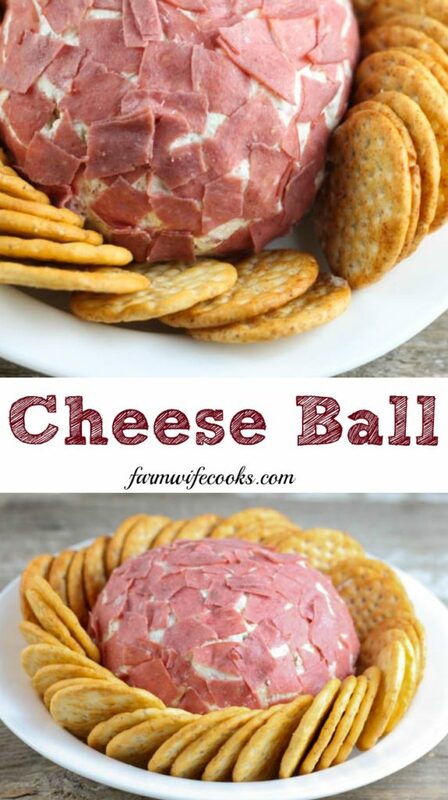 A little less than half of it goes in the cheese ball and the other half goes on the outside. 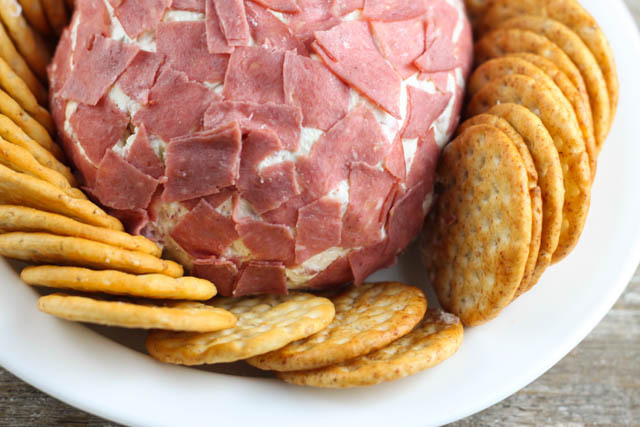 The flavor of this cheese ball will increase the longer you refrigerate it. So don’t second guess the recipe if you taste the mixture right away. Refrigerate it for at least 30 mins before serving. The cold will also help the cream cheese to set back up. 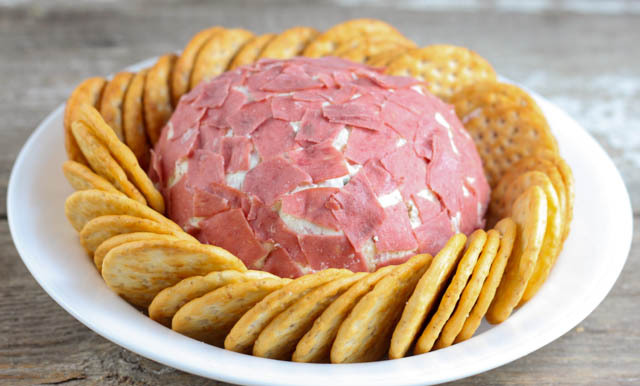 I think it is easier to put the mixture in saran wrap to form into a ball and then remove to put on the rest of the chipped beef and then re-wrap with a new sheet or wrap to refrigerate. Food safety reminder! Cream cheese should never sit out for longer than 2 hours! Combine the ingredients, including half or less than half of the dried beef. Form a ball and coat with the rest of the beef. Wrap in plastic wrap and refrigerate for at least 30 mins before serving.